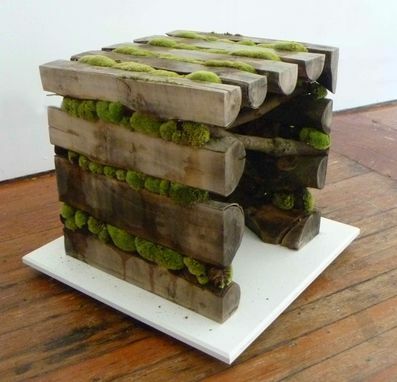 This piece is inspired by the way moss grows between garden pavers, like grout. 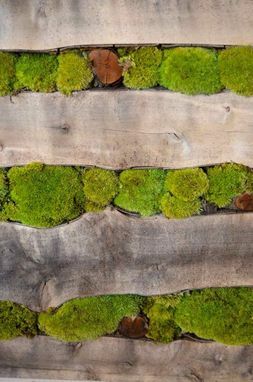 Here the moss acts as the connective material between the logs, blurring the boundary between the wood supporting the moss and the moss holding the wood. 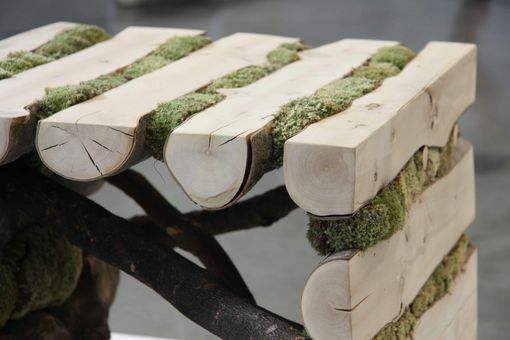 The form is derived from the concept of turning a cord of firewood inside-out. 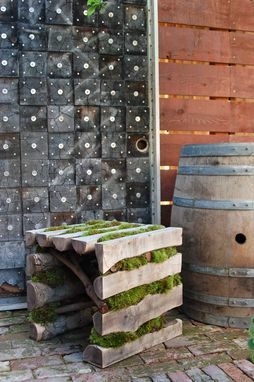 Given time to grow in a moist and shady environment the moss and the wood will become even more intrinsically connected. 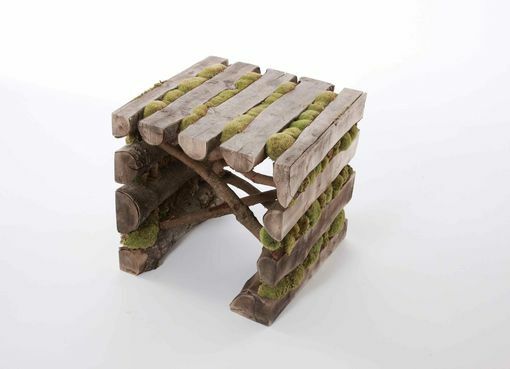 Pricing based on size.